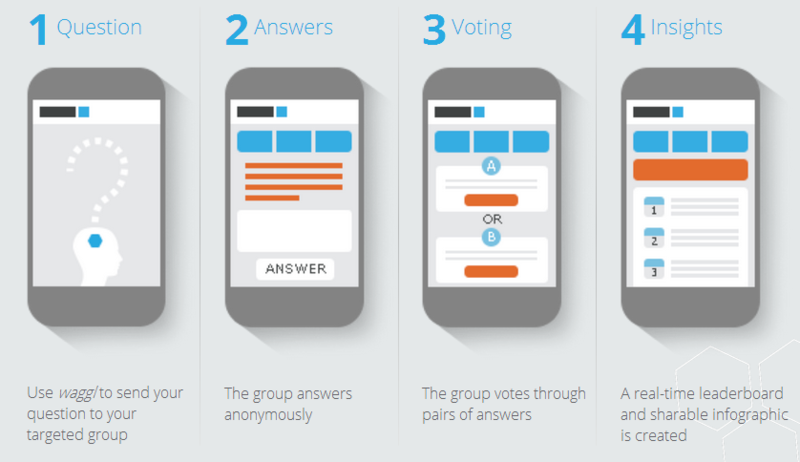 Waggl enables users to share a question and engage a group of people (like employees) with a process where ideas are shared and voted on by peers. For example, users can leverage waggl to send a question to a targeted group of people who answer the question anonymously. Then, waggl leverages a pairing algorithm to deliver two anonymous answers at a time back to the group who then votes on the best responses. These insights are collected and featured on a real-time leaderboard that details the top crowdsourced responses. It is also important to note that the platform works across desktop, mobile and tablet devices.